It all started some 35 years ago, when the late founders of Vila Vita Parc, Dr. Reinfried and Mrs. Anneliese Pohl discovered a unique cliff top site in the Algarve and set about creating a dream. When VILA VITA Parc first opened its doors in 1992, little of the resort that surrounds us today existed. The resort has evolved over the years, blossoming into what we now see. Some of the most important innovations have in fact been very recent, with last year’s refurbishment of the Clubhouse building representing a major milestone. Turning back the clock, we remember the opening of the first 60 suites, along with the Clubhouse building, tennis courts and Piazetta. The following year saw the inauguration of the main hotel building, adding another 73 rooms and suites. This was followed later the same year by the opening of the Residence with 29 rooms and suites in a stunning cliff-top location, also housing what is now Ocean restaurant. From the outset the resort, which became a member of Leading Hotels of the World in 1995, set a standard of luxury and service that saw it immediately recognised as one of the best in the region. But who could have guessed back then that VILA VITA Parc would become one of the finest resorts in Europe? 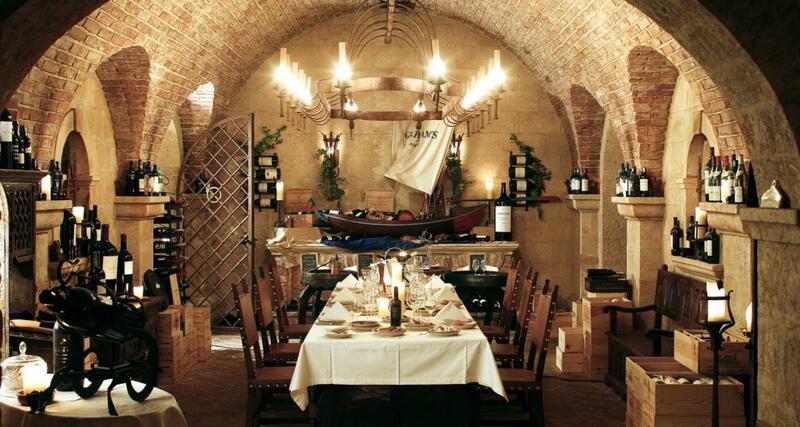 Investment and innovation has been relentless over the years; in 1998 came the opening of the Cave de Vinhos, the resort’s wine cellar, 2 years after VILA VITA Village, a small resort on the adjacent land with 51 townhouses and supporting facilities. This was followed in 1999 by the VILA VITA Vital Spa along with three suites. It was around this time that today’s Managing Director Kurt Gillig arrived at VILA VITA, originally as executive chef and later becoming director of food & beverage before taking up the reins as GM in 2010. Kurt Gillig’s love of food and wine is something that has become imbedded in the DNA of VILA VITA Parc, helping to establish it as a true destination for epicureans. 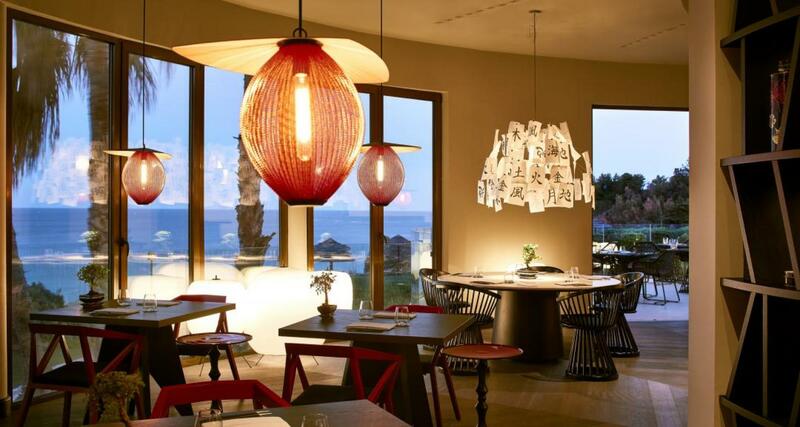 In 2007 he recruited Austrian chef Hans Neuner to take over the kitchen of Ocean restaurant. They aimed for the stars, literally, and the first Michelin star was awarded in 2009, followed by the second in 2011. 2012 saw the start of a major refurbishment project. 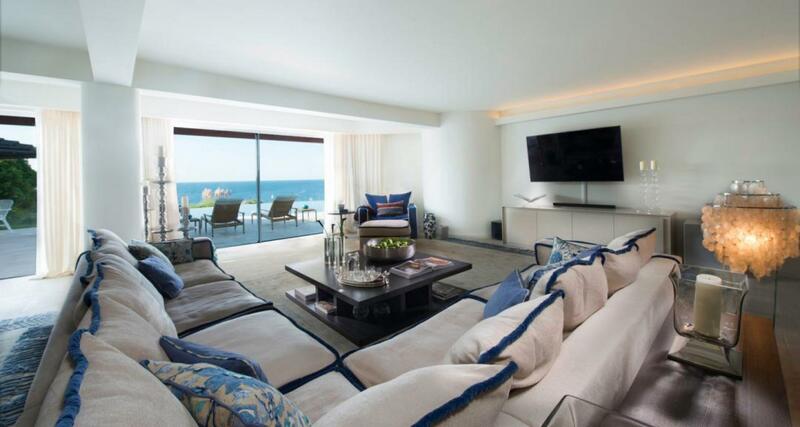 First came the original phase of suites known as Oasis Parc, which reopened as 1 and 2 bedroom suites in 2013, coinciding with the new Oasis Pool and Palm Bar. Next came the hotel building with the total renovation of all rooms and suites completed in 2014, followed by the Residence in 2015. With all accommodation in the resort’s three main phases fully refurbished, it was now time to give the restaurants an overhaul. Kurt Gillig and the owners of the resort decided to take this a great deal further than just skin deep. VILA VITA Parc was already renowned as a destination for gourmets, but the classic style of the restaurants, although loved by many of the resort’s most faithful clients, was not up to the modern design standards expected by today’s most demanding customers. Working with international architects and experts in the field of contemporary restaurant design, a project was sketched out that represented the single largest investment of the overall refurbishment plan. 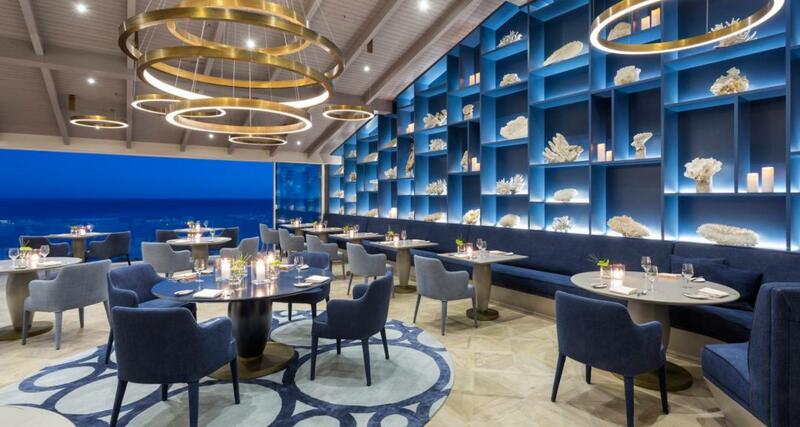 First to reopen was Ocean, in early 2016, with a contemporary new ocean-themed design concept, a new larger kitchen and enlargement of the dining room onto the old terrace with a retractable glass wall proving stunning ocean views to all diners. This was a taste of what was to come in the Clubhouse building, housing the Aladin Grill, Whale and Atlântico restaurants along with the Manzar Terrace and the original pool area, as well as the Bela Vita restaurant in the main building. The Clubhouse has been all but rebuilt, with a new infinity pool wrapping around the front of the building. Inside, only the Aladin Grill restaurant is recognisable from the original project. Elsewhere, new restaurant concepts and the new V-Club disco, have been created, keeping only the names of the original spaces and with the addition of the fine dining Japanese restaurant Mizu, replacing the old Aladin Bar. The final phase of the renovation project, to be competed in 2018 is the complete renovation on the Vital Spa complex, with an enhanced focus on wellness and holistic treatments. Whilst these physical changes are evident for all to see, it is actually behind the scenes that much of the innovation has been taking place. As VILA VITA Parc reaches this important milestone of its 25th anniversary, there are many aspects of the overall experience for guests that have been enhanced. With an average of 500 staff, reaching above 700 in the high season, the resort is the largest employer in the local Lagoa municipality. The dedicated staff have helped win many international awards, including World’s Leading Green Resort at the World Travel Awards in 2015, an important recognition of the VILA VITA’s ongoing dedication to sustainability. The legacy left by the founders, is now in the hands of their two sons, Andreas and Reinfried Pohl. 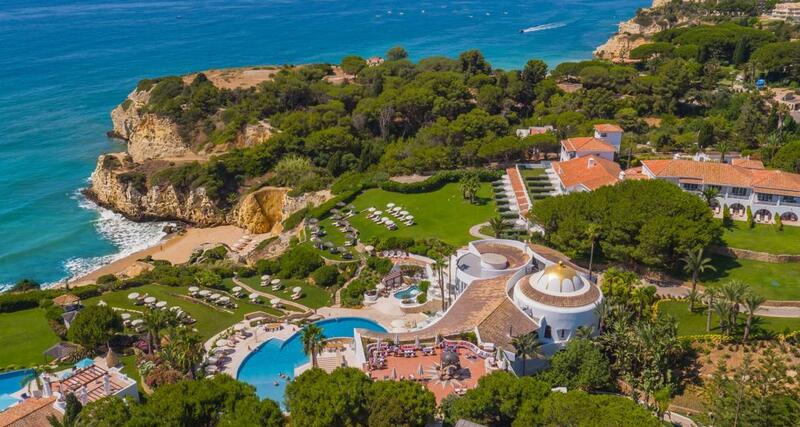 VILA VITA Parc is the jewel in the crown of the family’s investments in Portugal but their love of the country has taken them far beyond the confines of the resort and even of the Algarve. In 2000, the family invested in Herdade dos Grous, a 730-hectare working farm with vineyards and a winery in the lower Alentejo region. Here a small rural resort has been created with 24 rooms furnished in traditional style. Herdade dos Grous is in fact an integral part of VILA VITA’s sustainability concept, rearing much of the livestock for meat served at the resort. In the north of the country, another wine estate was acquired in 2012, Quinta do Valbom, a magnificent site overlooking the Douro river where high quality red wines and Port wine are produced. 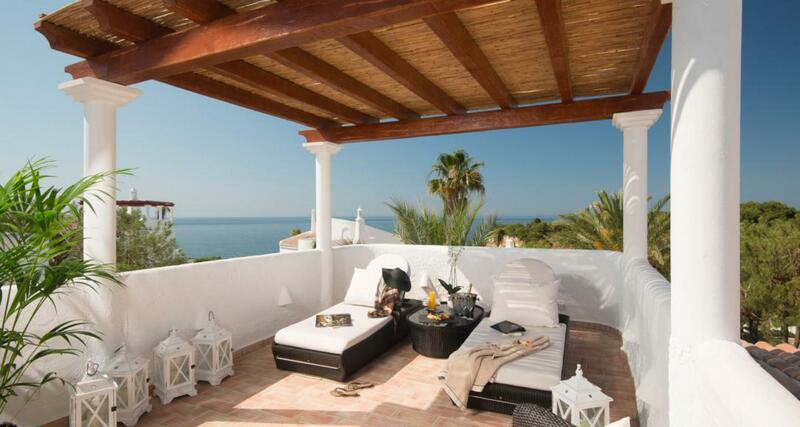 Here in the Algarve, other investments include the VILA VITA Collection of luxury villas overlooking the beach in the village of Salema, soon to be expanded to other locations on the Algarve.